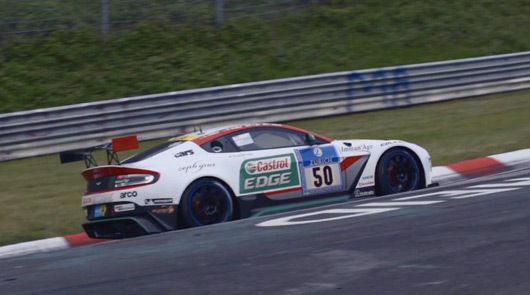 Chris Harris and his cameraman Neil Carey take us deep into the world of the 2015 Nürburgring 24 Hour race. The star of the show is the production-based Aston Martin GT12. “Watching a car being driven fast around here is one of the great spectator experiences,” claims Harris. I’m yet to watch an N24, but I have seen cars be tested within an inch of their life during Industry Pool sessions. It is a pleasure to watch. Witnessing a grid full of GT3 cars fighting for every inch of tarmac would be awe inspiring. Enjoy this clip. It’s a good one. And how awesome does that GT12 sound! Wow! What a great video… covering ALL the emotions of N24.